Oh boy, you guys keep talking up the Platz F-8's and my F-18F will never get completed. 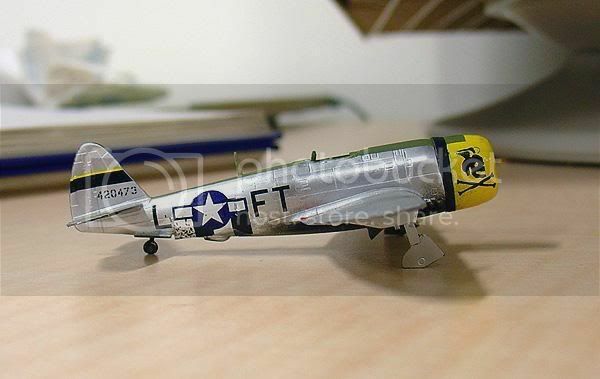 Actually I do have several of their F-8's, and a terrific kit it is, as is all their later releases. I have also had problems getting Platz kits around my area. But the local hobby stores are slowly disappearing totally. Thank goodness for the internet, it is about the only way I can get stuff here. I also managed to get several old Microscale decal sheets for the F-8, as well as one from Jasmine decals in Japan, so there are some products available if you dig around. 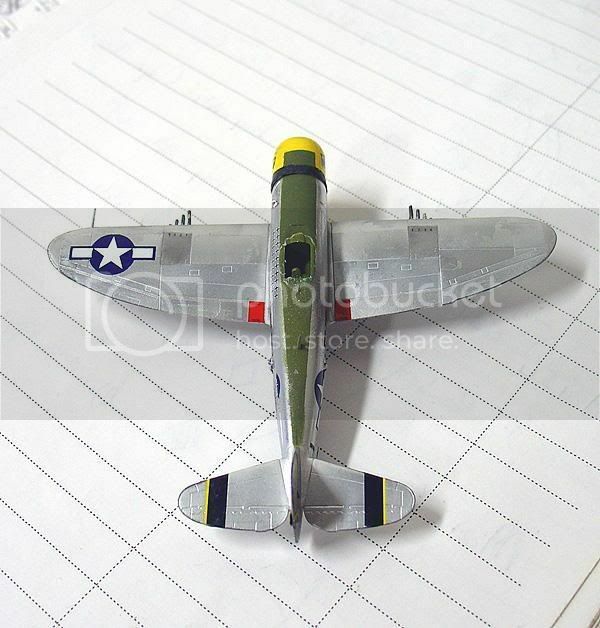 I guess I'll just have to decide how much "Chopping" up of the F-8 wing I want to do. It just looks so neat with the wingtips up, and possibly the wing raised up.......we'll see. The latest finished. Its big even in 1/144, but was a plesure to build. Wooooow!!! 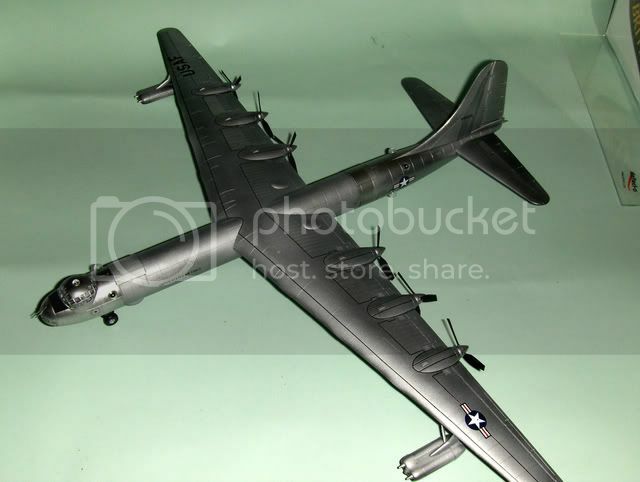 B-36!!!! Holly Gorilla!!!! What Brand is...THAT??? Where can I find one????? Ehem...sorry, I got carried away again! 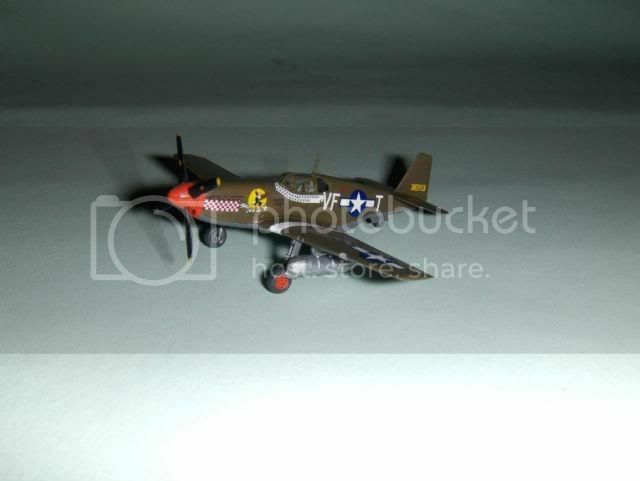 Hmm mI realized I forgot to Post my Platz P-47 here. I 've had alot of problems with decals and stuff and had a few accidents. Sleeping for now. Waiting. I'll post it as soon as I dare to finish it. 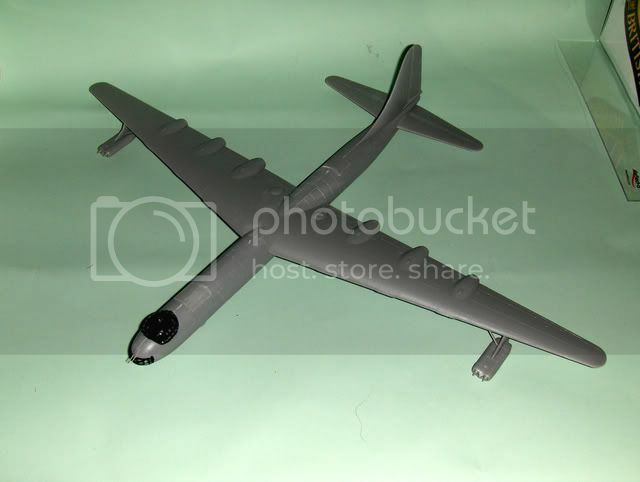 Yalym the B-36 is made by Hobby Craft of Canada they do several different versions and are a pleasure to build. Thanks Luciano, I will keep my eyes open. It has been rather quiet on this thread for a while, including myself. So what's everyone building ? Plus I have a question. 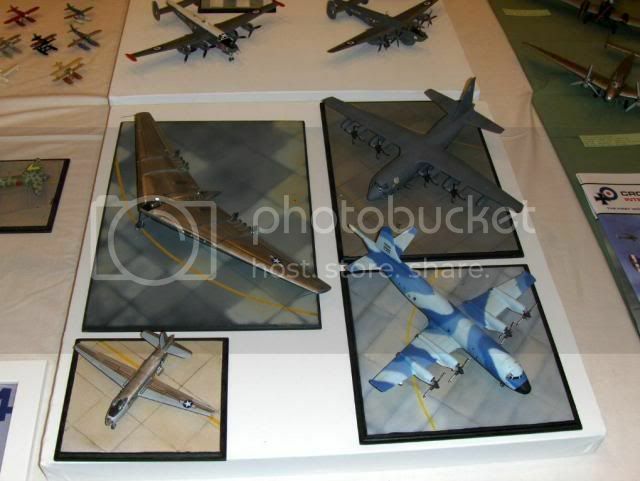 Has anyone built and completed the Minicraft C-130 ? I know an aftermaket company (Can't remember which one.) Made resin engine fronts to correct the intake shape. Has anyone seen these ? I'm still trying to track them down. If anyone has experience with the Minicraft kit, how did it go together, any real problems ? Also Gang, be aware there is a Vietnam build just starting.... Good time to get those MiG-17's, 21's, F-105's, F-8's, etc. out and let them know 1/144th is alive ! I totally forgot about this forum! Doh! I have finished a couple of builds since my last posting. 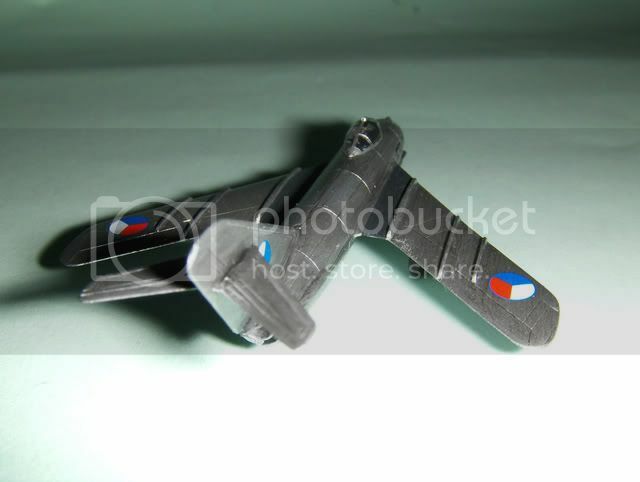 Currently working on a 1/72 Connie in TWA livery. Here are the last two in 1/144. Thanks, "Q"
I tried my hand at 1/144 modeling one time. I got the 1/144 Dragon M109A6 Paladin & M1A2 Abrams two-pack for $5. If I had to do them over, I would redo the tracks & wheels. It was mostly just an exercise in fun. I know an aftermaket company (Can't remember which one.) Made resin engine fronts to correct the intake shape. Has anyone seen these ? I'm still trying to track them down. Still chugging away on the Wolfpack Designs TSR.2. Need to add the rudder and masked canopy, then I can start painting. I'm just not looking forward to the dry transfers as there are a ton of 'em. Thanks so much for the tip on the Engine nacelles for the -130. I ordered some today, so we'll see how long it takes to get them....IF they are in stock. 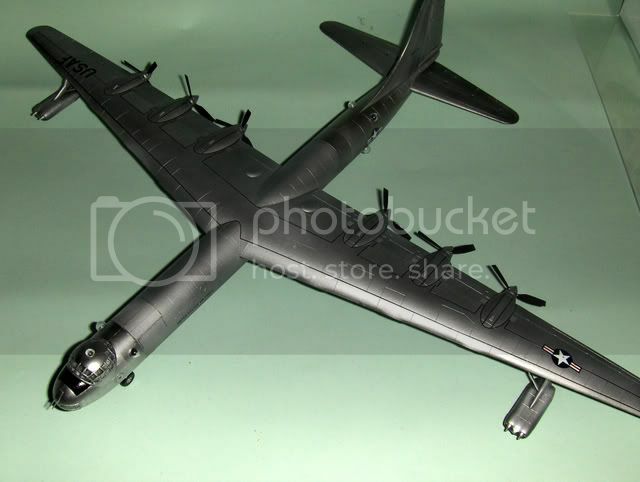 (Ordered from AHS ) From what I've seen of the Minicraft C-130, it may have a few glitches, but overall it is light years ahead of the old Revell kit. Plus as I've stated before it has soooooo many color schemes and airframe varients possible, it could keep someone busy for years. And Gents, some nice finished plastic there. I'm surprised that 1/144th Armor hasn't caught on more than it has. But I guess it will just take time for folks to realize the benefit of this scale. And Matt, if I remember correctly, Aeroclub made a white metal generic bang seat. 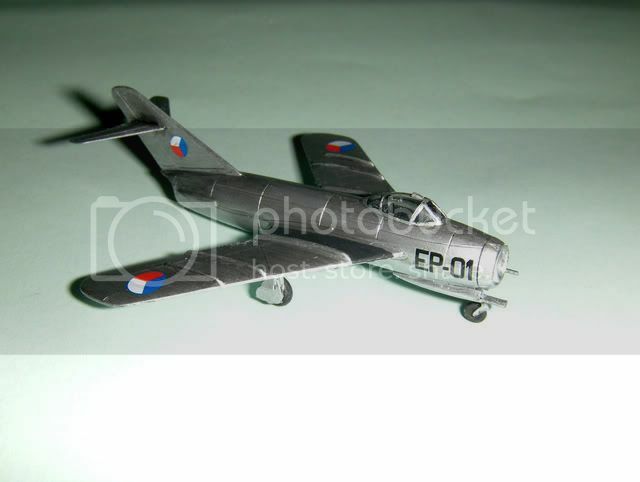 (Martin Baker type) in 1/144th....Should be stock # W006 if it is still available. 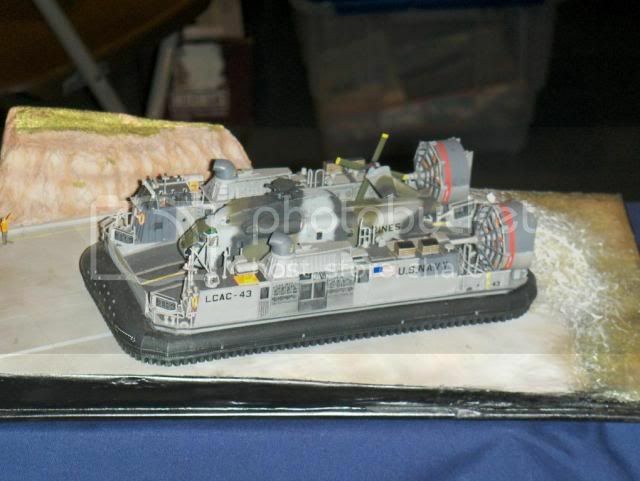 Did you know Revell are issuing a C-17 in this scale? You Bet !!!!! Already on preorder. Plus the decal sheets are already being announced to cover most of the Aircraft in service at present. Needless to say, the model is a very smart move on Revell's part. Hopefully, the model will be up to Revell's recent standards as far as quality and fit. It may be a little pricey, but we are talking of a large transport here. Plus I have no doubt they will be around for quite a few years to come. (The real aircraft, that is.) Even so....no way it will come even close to breaking the Herc's record for longivity or adaptability. I have no doubt between the C-17, and the Fletcher Class Destroyer in 1/144th, (again Revell) it will be an interesting end of the year. Plus I'm always interested to see what the competition between Revell and DML brings us in the way of tactical aircraft. And Platz has been extremely quiet for a while, so that could be another player. and the Xtradecal sheet to go with it. Matt try Matador models at the bottom of the page is listed the F-117 cockpit. I have this and it's a one piece molding in white metal so also act as nose weight. 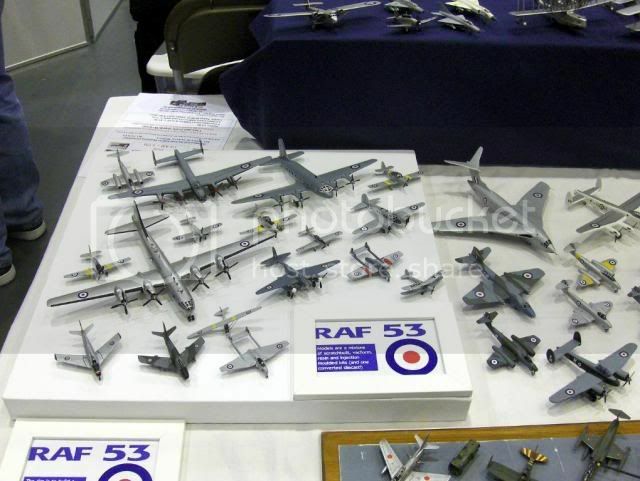 Guy's thought I'd share a couple of photo's from the IPMS Nationals at Telford, England. These are all from one club stand and all in 1/144. Thanks for the photos. 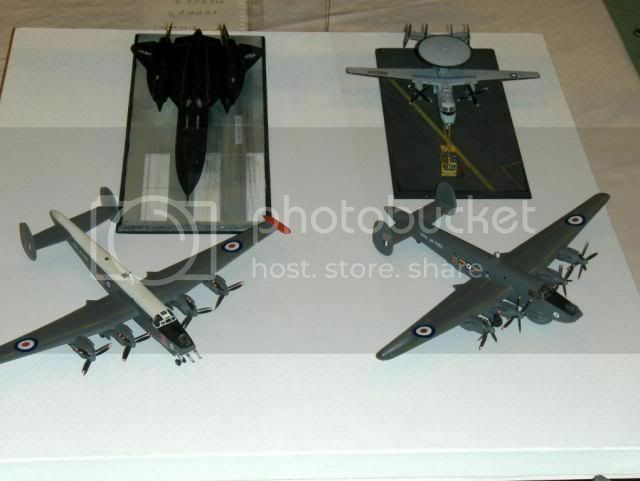 Extremely nice display, this really shows one of the biggest benefits of 1/144th scale....Size ! 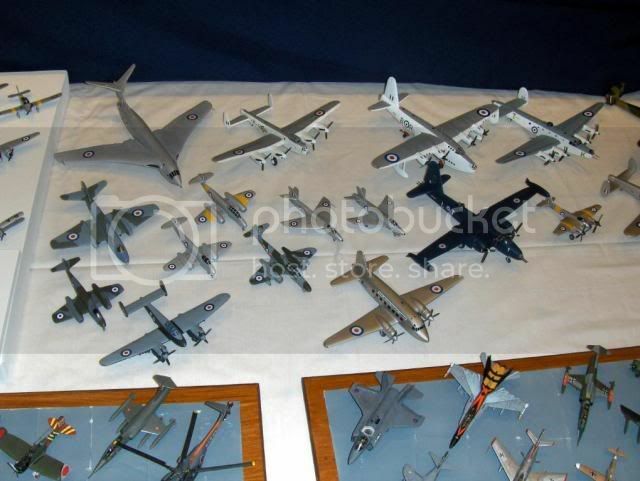 Plus for those who say there is no variety in 1/144th , think again ! Normally the comp has a good show of 1/144 but due to a painful foot I didn't get over the to comp area this year. 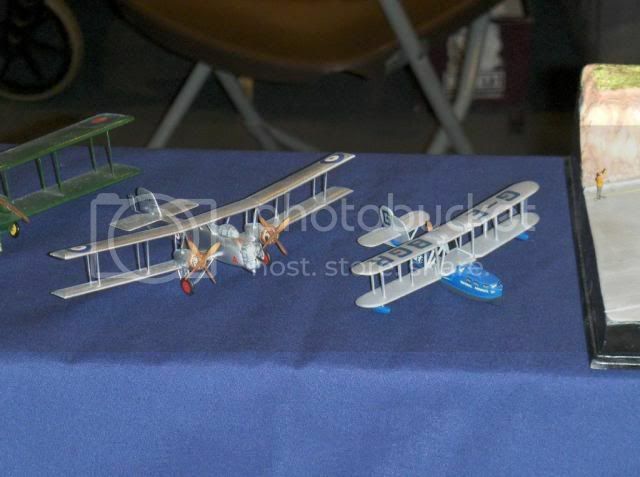 Last year there was a scratch built Fokker Tri-plane with cockpit! Anyway heres what I've been working on. 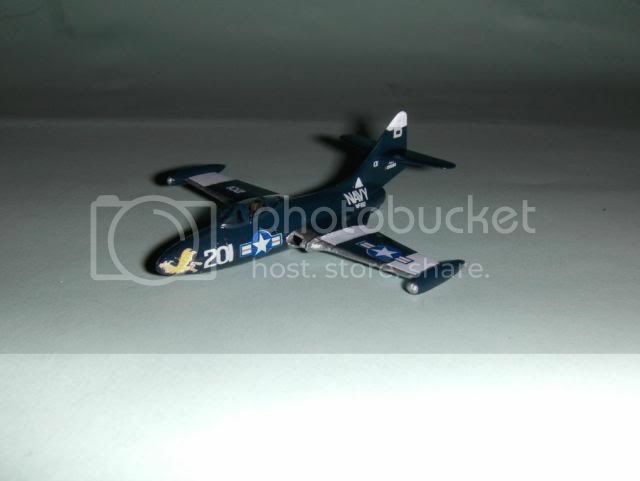 Grumman F9F Panther (Ozmods) all the gear legs broke, one twice. So this will be a flyer, flying stand to be built. 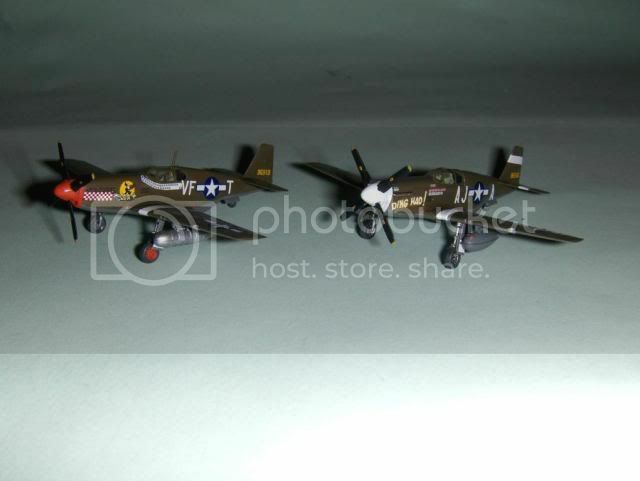 And two P-51's (Sweet) built for the Ace's high campaign. 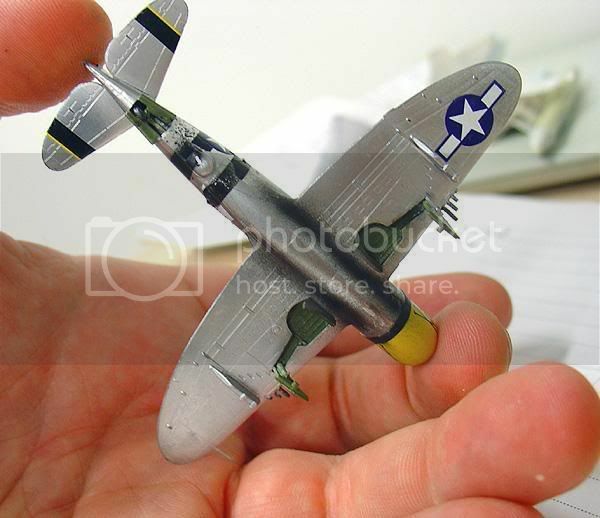 Very nice job on your new builds, especially the P-51's. Plus I'm hearing today we have several new kits to keep a watch out for. 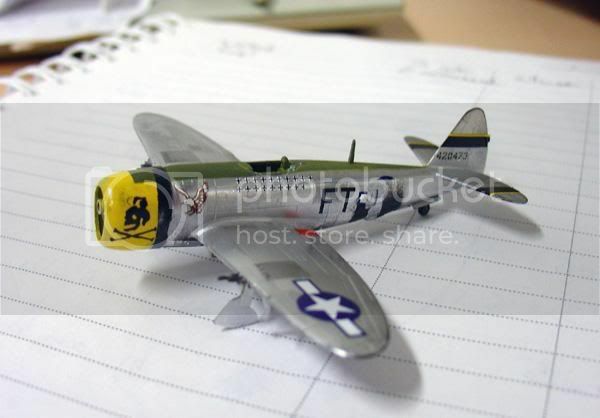 Platz has come out with a P-47D Razorback plus a Grumman F6F Hellcat. Of course, I know quite a few are watching for Revell's C-17. So we will have a very busy winter build session ! OK....it has been a while since this thread has been alive. So we need to get together again and share what Santa brought in our scale ? 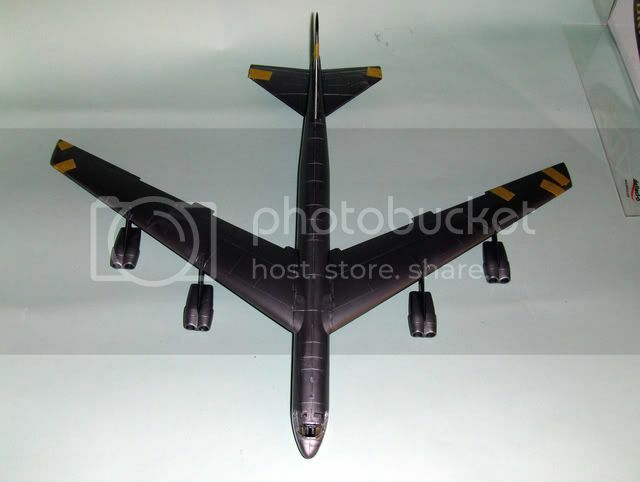 For me, it was the Unbeliveable Revell C-17A ! My wife had it shipped in from Hannants as a surprise. What a kit ! So have any of you in Europe built this monster up yet ? How was the build ? From the looks of the kit in the box, I am very happy to report (In my opinion, anyway.) 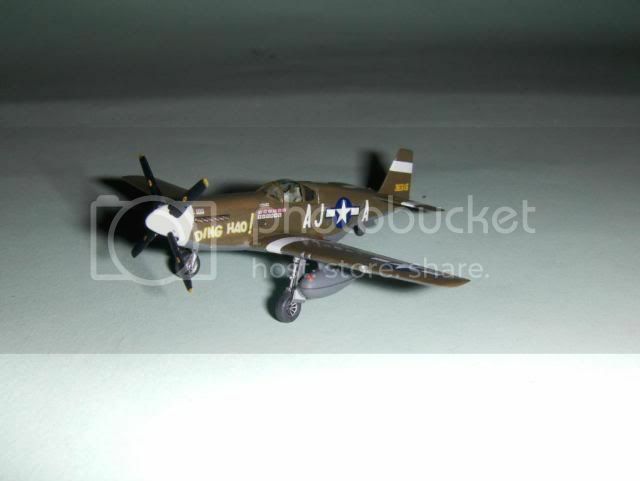 that Revell did not let us down. Once again, they raised the bar for 1/144th modelling. Admittedly I'm finishing a ship at present, but after that I might have to reassess my build priorities. My poor F-18F is about 75% complete, but at this rate it just might have to wait. And yes...the C-17A is that good. Add to the kit the Xtra decal sheets on the Globemaster, (better known as the "Moose" ?????) and you have a great combination. Hi Bruce, nothing from Santa in any scale but I did buy myself a present in our glorious small scale.